This was fun and different from my usual black cat paintings. 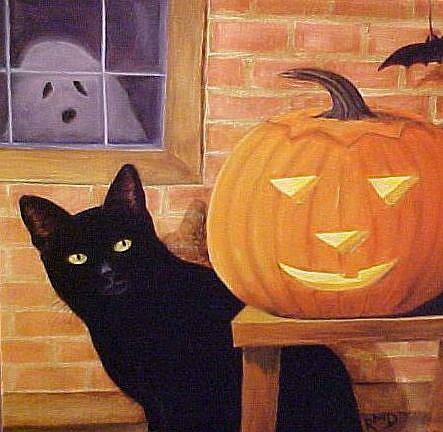 I wanted to include all the details of a typical Halloween night, black cat and all. Even the cat is surprised and wondering what in the world is going on.